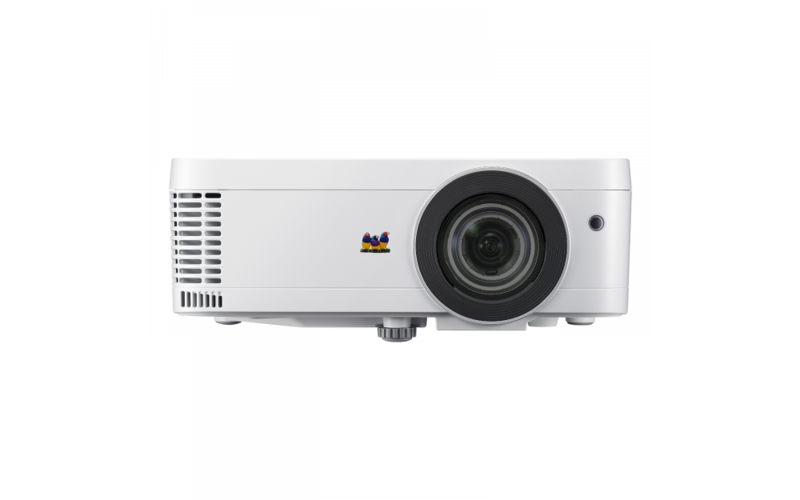 Viewsonic PX706HD is a great DLP projector, it is one of the best when it comes to big screen gaming and entertainment. It comes with a short throw lens that makes it perfect for big gaming sessions in small rooms, the ultra-low latency of the projector ensures high FPS thus providing you smooth gameplay without delay. This projector from Viewsonic comes with 3D compatibility thus letting you enjoy 3D movies and games at their best. For big screen gaming and entertainment Viewsonic PX706HD is a must have projector. It is having one of the least delay time out there thus providing you a great and soothing cinematic and gaming experience. The audio and video quality is also top-notch all thanks to the Sonic Expert technology used by them in the projector. This projector also has support for USB-C thus ensuring fast data transfers and quick charging over a single cable. The best part about this projector being its ability of producing bright images in nearly any environment. If you want to play games on big screen and want a projector for that purpose then ViewSonic PX706HD is the right product for you. Its ultra-low latency helps you get high FPS thus providing a greater and smoother gameplay.